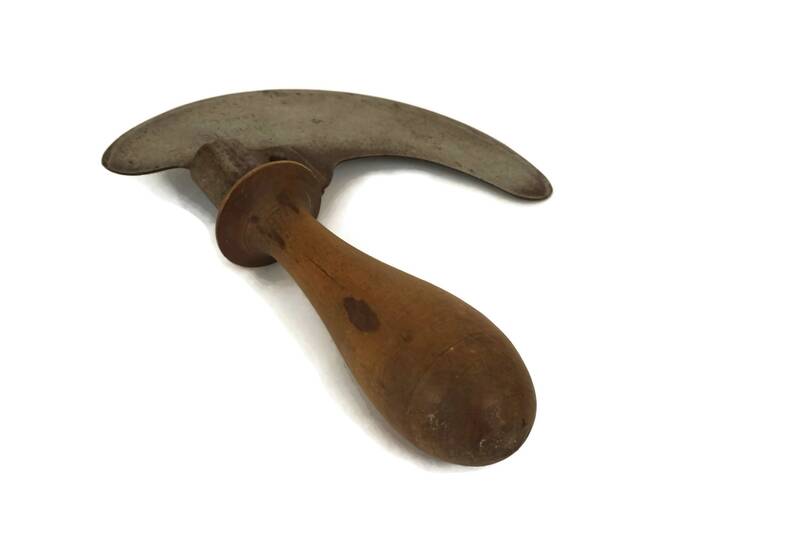 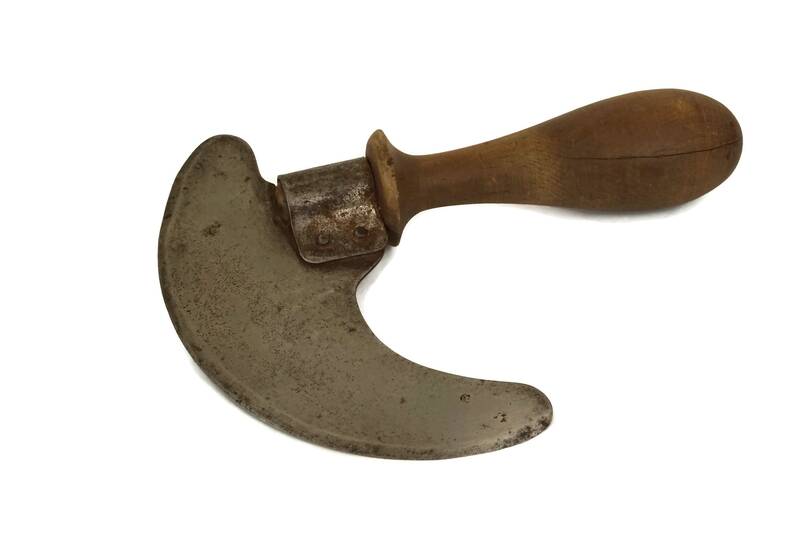 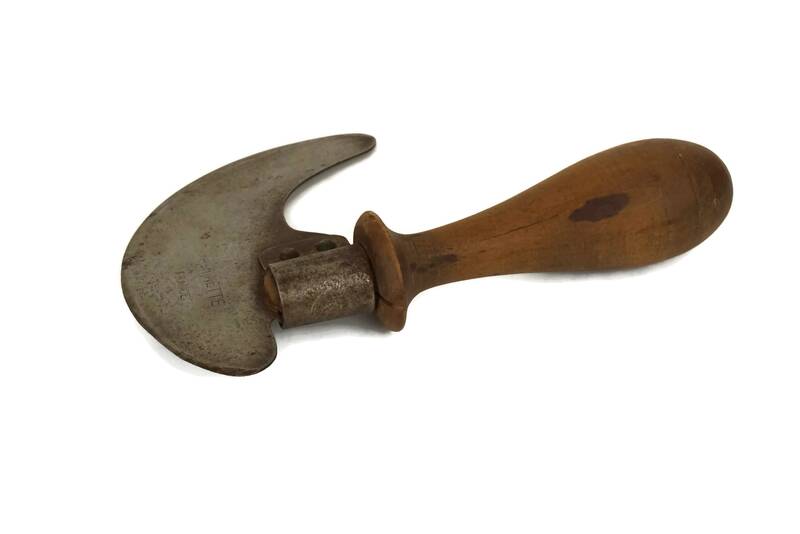 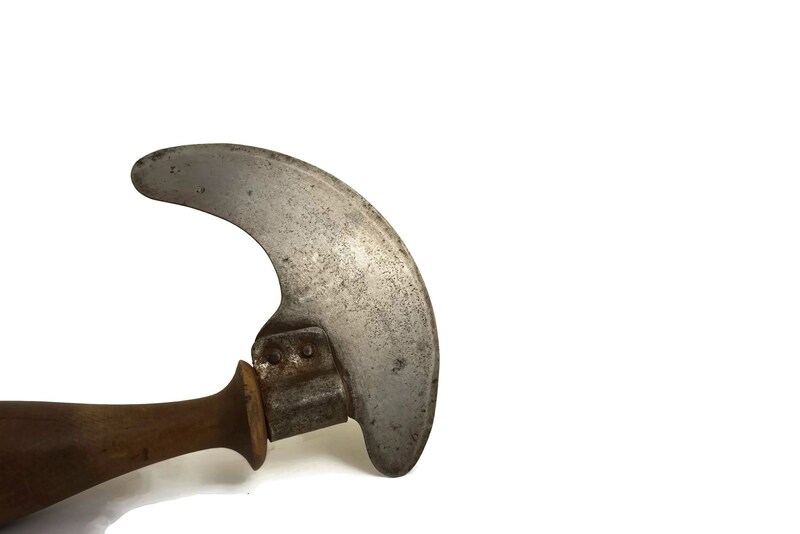 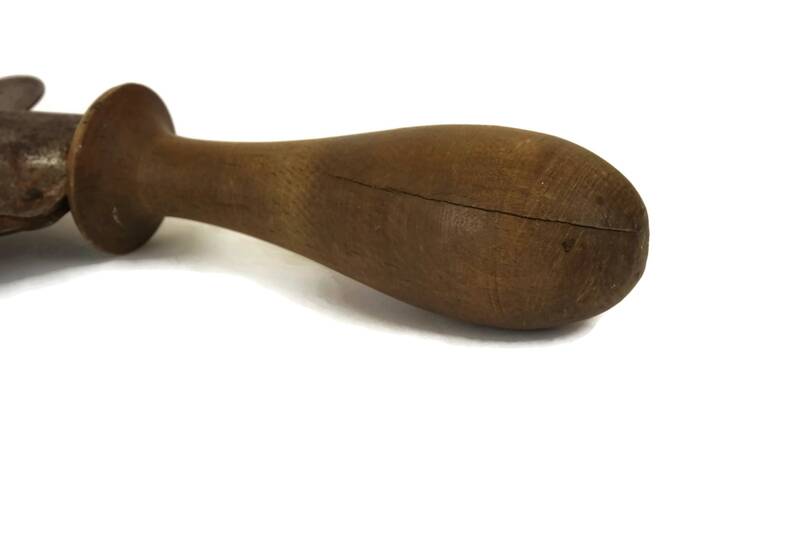 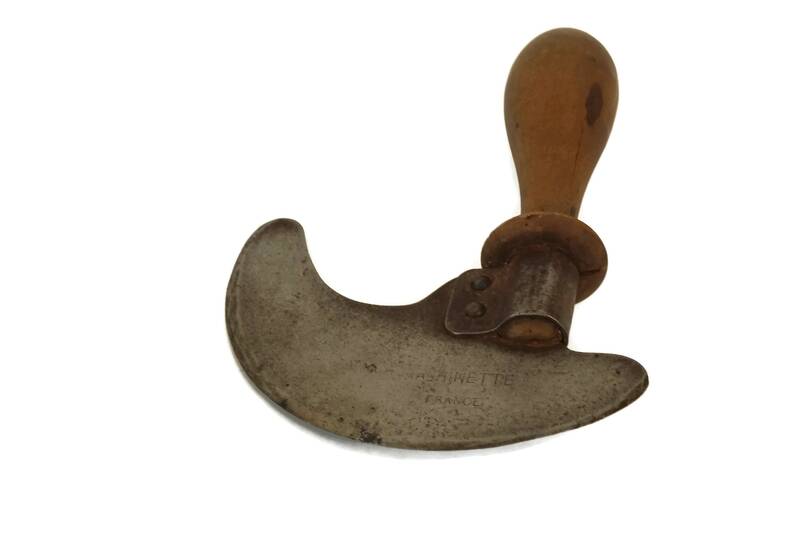 A vintage French herb chopper also known as a "Demi-Lune" (half-moon). 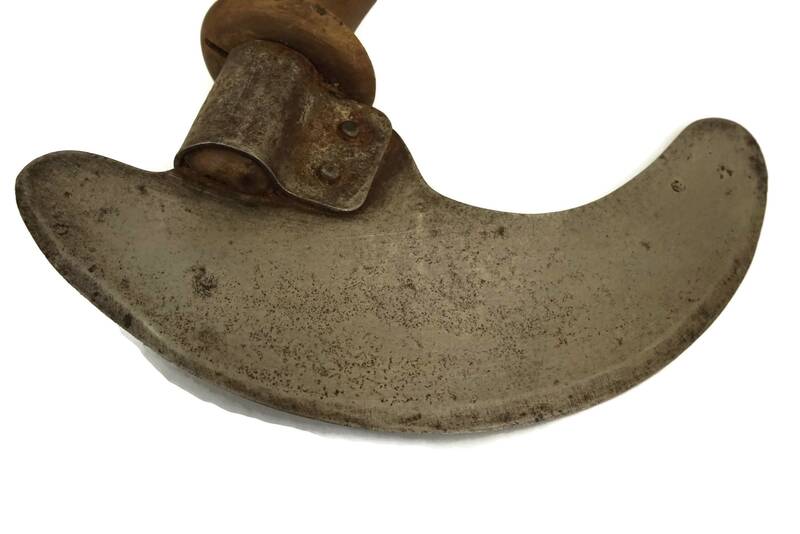 The curved steel blade has a wooden handle and is the perfect tool for fresh garden herbs to be quickly and efficiently chopped. 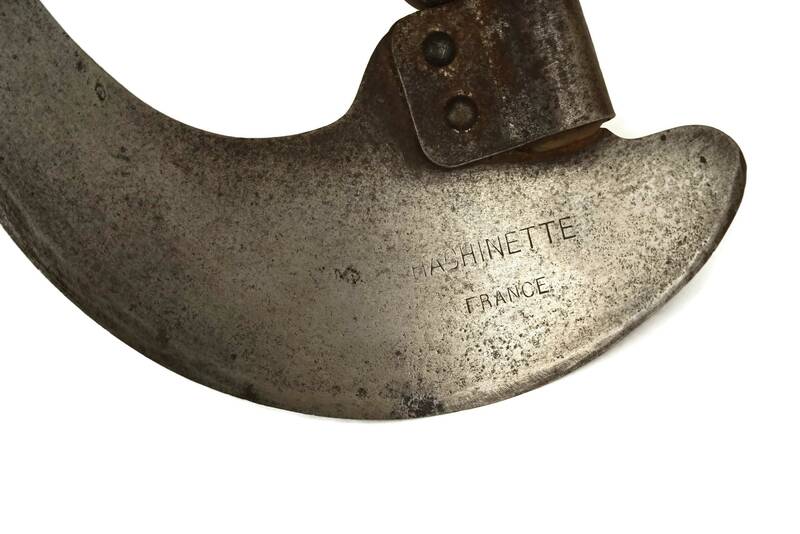 The blade of the round knife has been stamped with the manufacturer's marks. 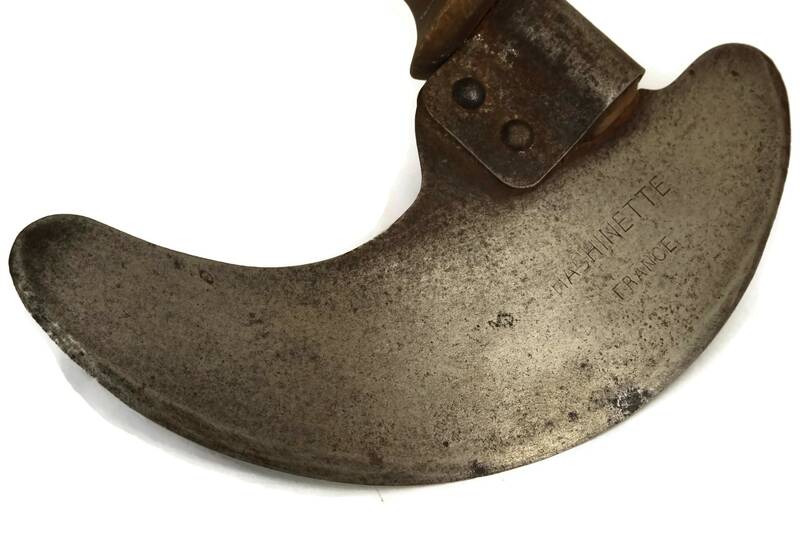 (13 cm x 18 cm). 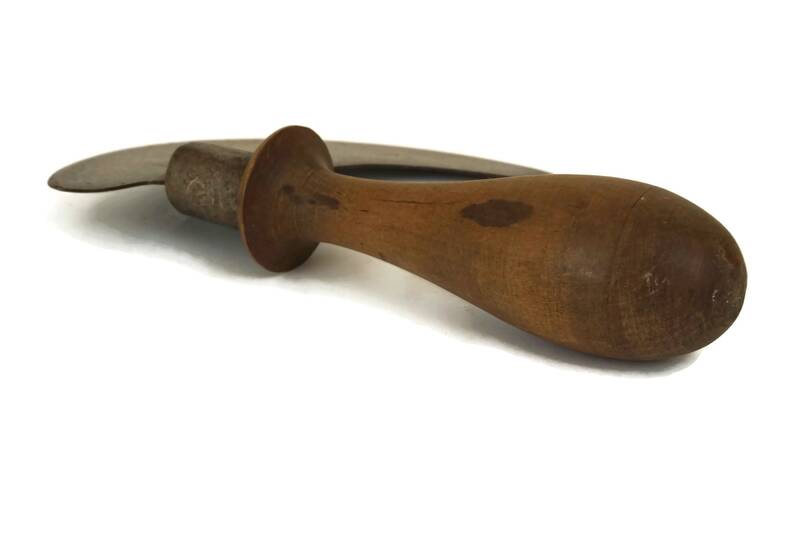 The antique herb chopper knife is in good used condition with patina to the wood and metal.